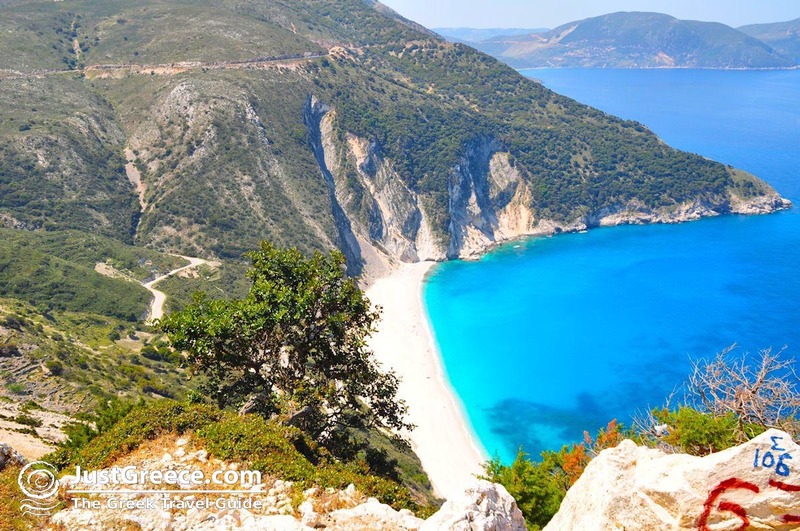 Myrtos (Kefalonia). 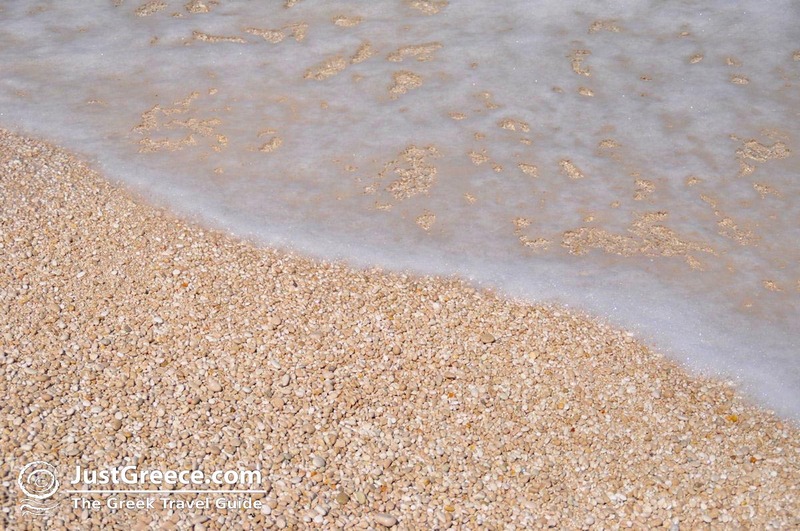 Myrtos is the most famous and best-known beach of Kefalonia. 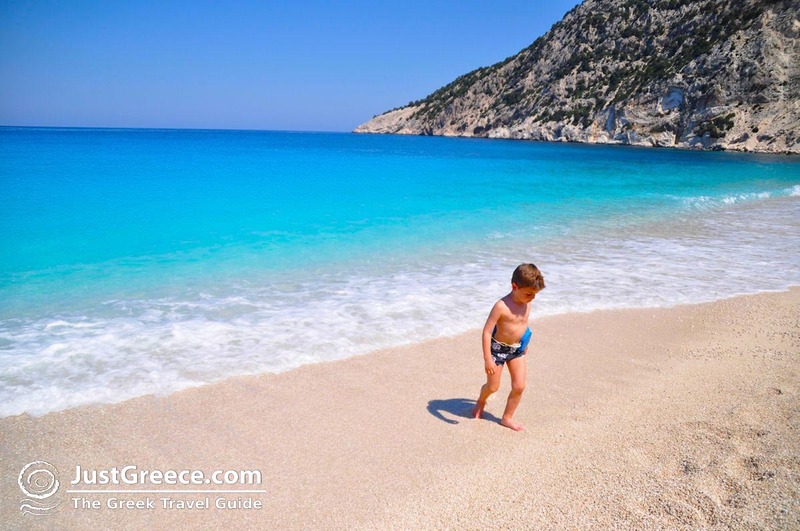 Photo Myrtos is used on all the calendars and brochures about Kefalonia and has thus more or less become the characteristic picture of the island. 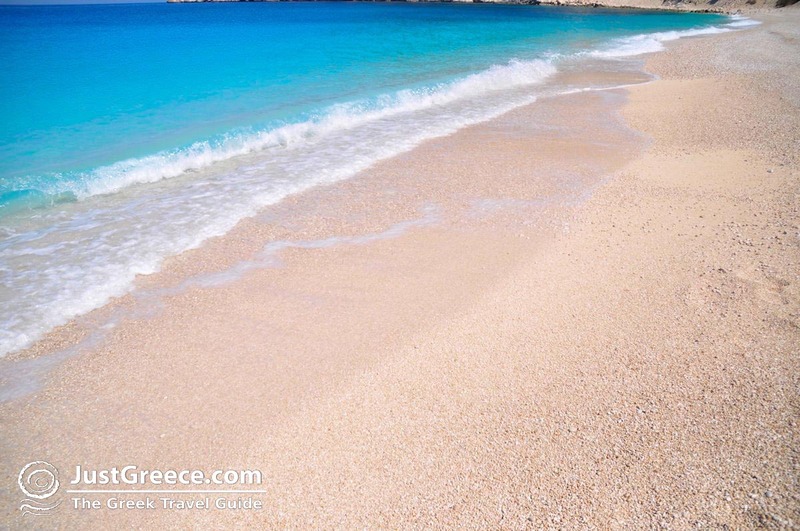 Myrtos beach is in the same bay, 30 kilometres north of Argostoli and 5 kilometres south of the village of Assos. 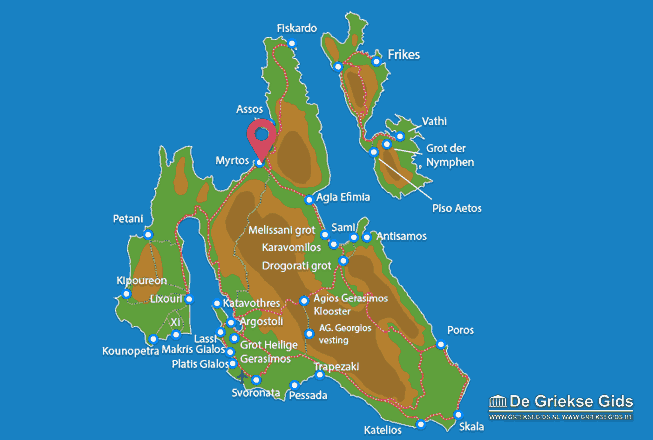 You take the exit to the village Divarata, where many restaurants are and where apartments and rooms can be rented. 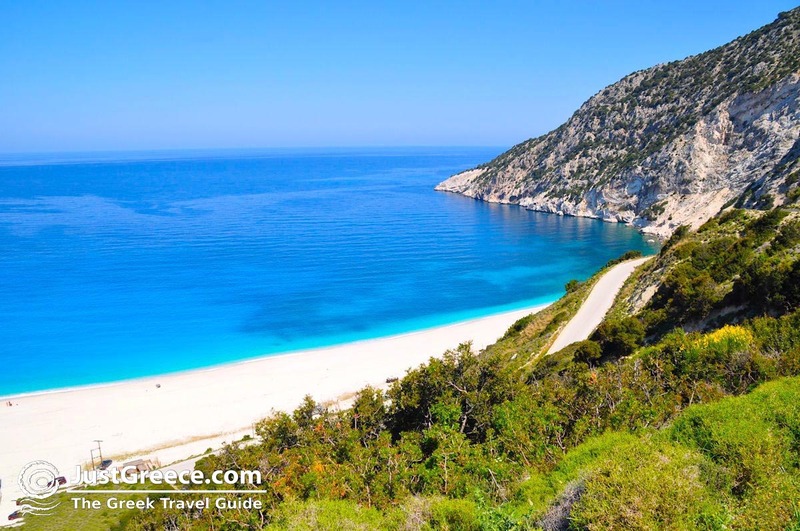 Then you drive through a beautiful, wooded environment leading to a winding road with hairpin bends to the beach of Myrtos. 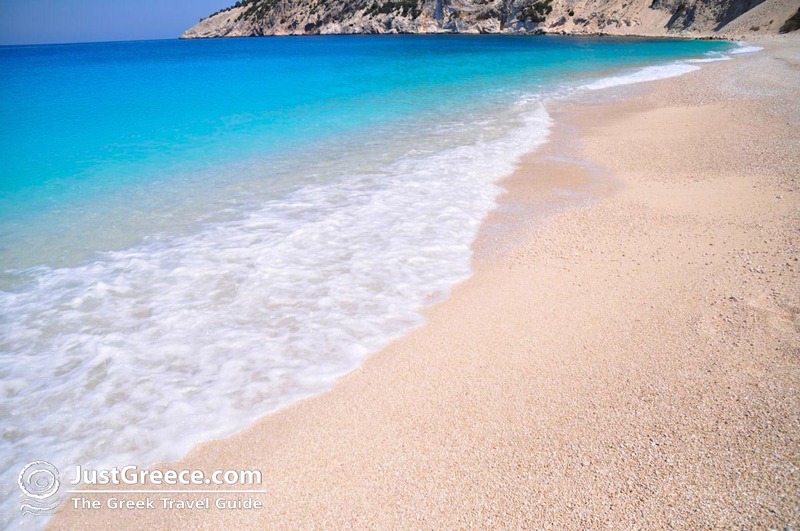 The white beach (small white pebbles), the turquoise colour of the sea and the steep cliffs provide an exceptional experience. 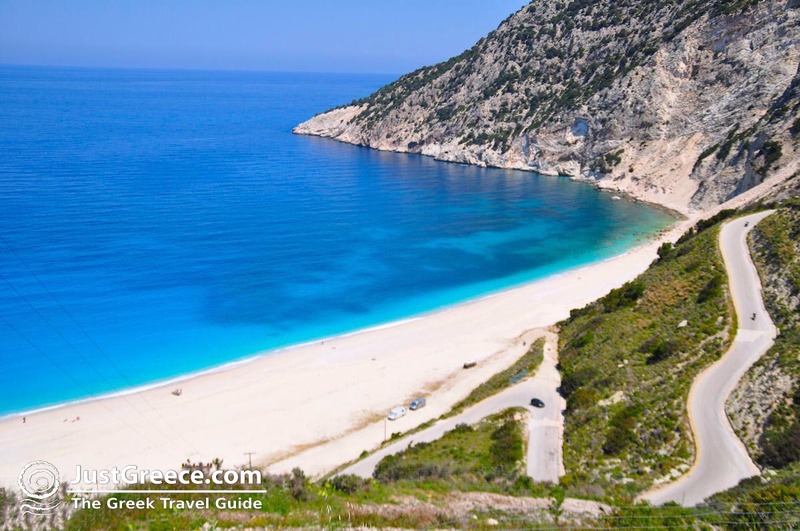 Myrtos beach is visited only by day-trippers and has no amenities, so no sunbeds or umbrellas, no snack bars, etc. 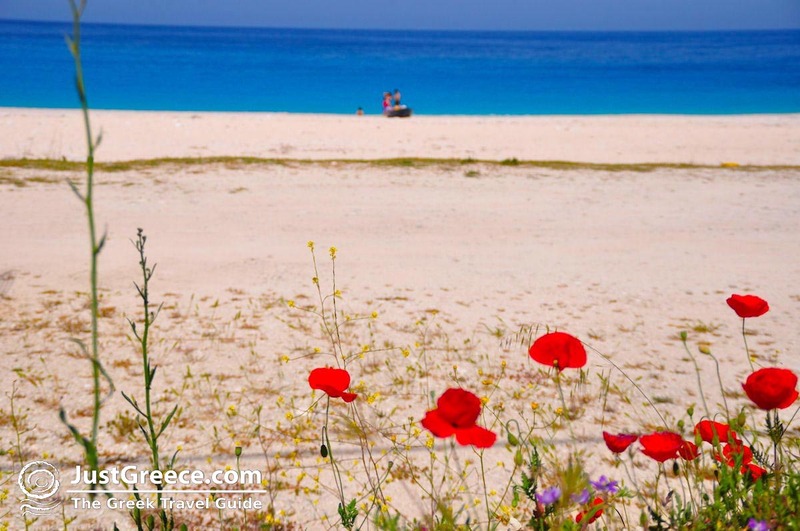 This also adds extra charm to this pristine beach. You can park your car at the edge of the beach. 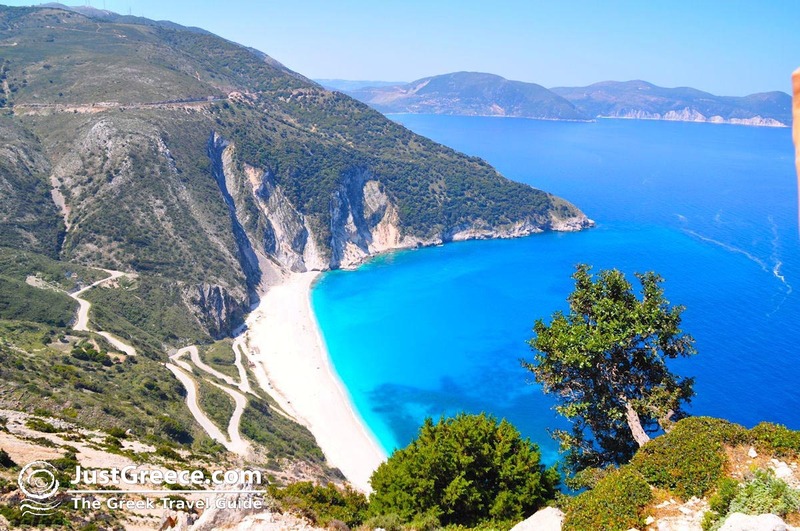 On the road to Fiskardo is a famous stopping point for taking stunning panorama photo shots of Myrtos. !